Voice search is a form of speech recognition technology that allows you to search using verbal commands rather than typing your query. Every time you say “OK, Google”, use Alexa, or Siri, you are using voice search. Is voice search already being widely used? In 2014, a Google mobile survey revealed that 55% of teens and 41% of adults used voice search more than once a day. The most commonly cited reason for using voice search, amongst both adults and teens, was because they believed it was convenient and and forward-thinking. Voice search, due to the rise of AI assistants, is already widely in use.. Thanks to Siri, Alexa, and the newly-launched Google Home, most people will be using voice search without even realising it. As the use of AI assistants and voice recognition accuracy continues to grow, so will the use of voice-based search. What are the future predictions for voice search? Gartner, a Stamford-based research and advisory firm, predicts that by 2020, 30% of browsing sessions will be done without a screen as voice first devices will become more integrated into our homes. This move towards screenless interactions means that marketers will have to rethink the way they approach SEO and content. The tactics that are successful now are unlikely to remain relevant due to how fundamentally different voice search is from text-based search queries. In a survey of industry experts, voice search emerged as the third most popular SEO trend for 2017 and is predicted to account for 50% of searches by 2020. 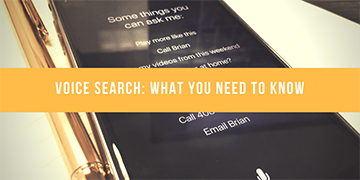 Although text-based search is still the most popular format, it’s never too early to be clued up about voice search. Even if you don’t choose to optimise for it right now, you need to be aware of how the technology is progressing and how it can affect you. Voice search and virtual assistants aren’t perfect but advances are being made at a rapid pace. How is voice search going to affect current SEO strategies? People don’t write the way they speak, neither do they format search queries the same way that they would write. For example, if you want to know the current time in New York, a text-based query would typically be “current time NYC”. A voice-based search query, on the other hand, would take on a more conversational approach and look more like “what is the current time in New York city?”. As a result of this conversational nature, these queries will be longer than text inputs. After all, people tend to speak in sentences and thus phrase voice search queries as full questions, rather than just a few specific keywords. Although the two have yet to be linked, it comes as no surprise that there has been a 61% YoY rise in conversational search queries, phrases that are more likely to appear in natural speech than text. 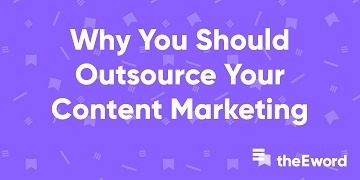 What this means for current SEO and content marketing strategies is that rather than creating content aimed at keywords with a high search volume, the focus will shift to creating content that offers direct answers to specific user questions. How will voice search affect local search traffic? According to a 2016 trend report, voice searches are three times more likely to be about local information than text based searches. 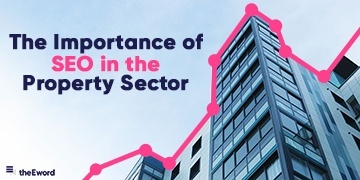 Businesses that rely on local search traffic will need to assess how they can optimise their content to appeal to queries of local intent. Maintaining positive reviews and verifying your Google My Business listing will play a part in ensuring that your business appears in searches that rely on contextualisation, such as “best car garage near me”. Want to know more about voice search, or have chat about digital marketing in general? Get in touch with us.